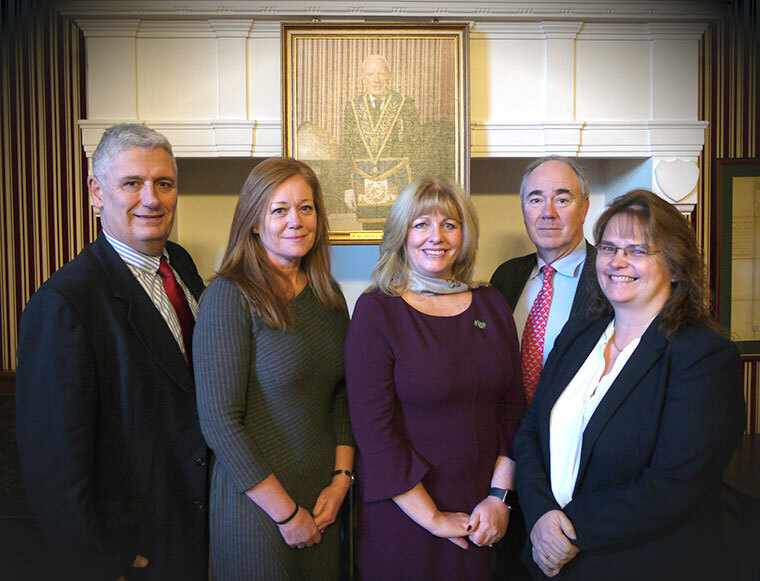 These days the law firm is owned by managing partners Simon Nethercott and Nicola Lowe and though no longer based in Bournemouth, it has well-established branches in Verwood, Christchurch and Broadstone as well as its head office in Wimborne. Many will know the Wimborne office in West Borough, so it may come as a surprise when you next pay a visit, to find it has moved down the road and what a difference those few strides have made. Barely a stone’s throw from the previous office, it is much more spacious. Set on three floors, the larger premises have a welcoming reception and offices on the ground floor. The firm had been seeking a new office for a while, but they wanted to remain in the heart of Wimborne, among the community they serve and decided to wait until the right property came along. With high ceilings and a casement door to the garden, the building is grand and it has been christened with an equally grand name: Grenville House, which takes its name from Harold G Walker’s middle name. Nicola came to law later in life when her children were teenagers. She trained at Harold G Walker before qualifying as a solicitor. In the year 2000, she was appointed the first female partner in the firm’s history, a reflection of her dedication. Not only that, she has since been nominated for awards for her work in legal practice. She also manages the head office and said Harold G Walker has invested heavily in computer systems and was one of the first solicitors in the area to receive Cyber Essentials accreditation. “We take our responsibilities very seriously,” she added. The state-of-the-art computer systems are linked between offices for a seamless process between the branches. Simon Nethercott explained that as part of the firm’s community involvement, Harold G Walker run regular clinics giving people access to free legal advice. They also raise a lot of money by holding events and in the last year have donated £15,000 to various charities and sponsored Light up the Prom in Bournemouth. With three other partners: Hugh Storry Dean, Cath Porter and Gaynor Cooke, this well-established law firm anticipates continuing its growth. “We are looking to expand in Ringwood or Ferndown,” said Simon. And so it seems the good name of Harold G Walker is destined to continue.